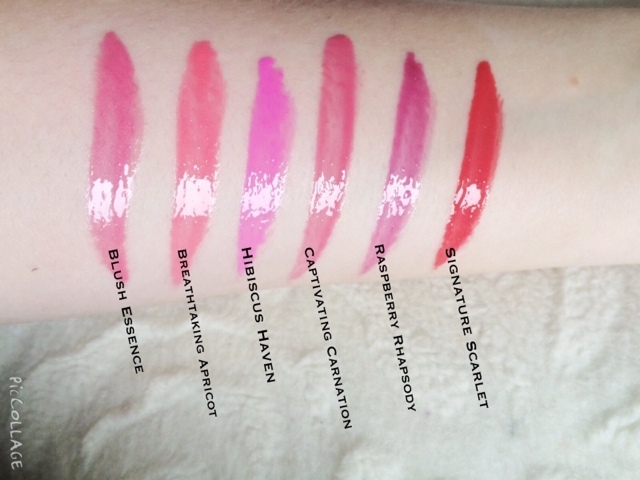 Here at IABT HQ, we've been loving these lip gloss/lipstick/lip balm hybrids, so I thought they should be put head to head in true face off style. 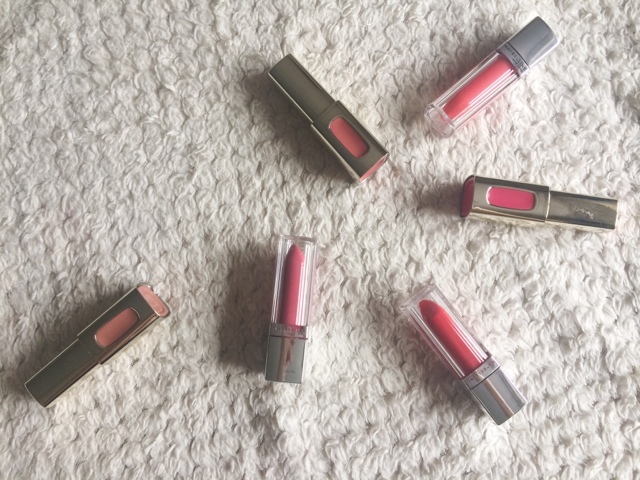 The L'Oreal L'Extraordinaire Lipsticks and the Maybelline Color Elixirs are lipstick/lip gloss/lip balm hybrids, which I have been loving recently. These are both available at the drugstore, whilst the MCE's are £6.99 the LLL (seriously?) are £8.99. 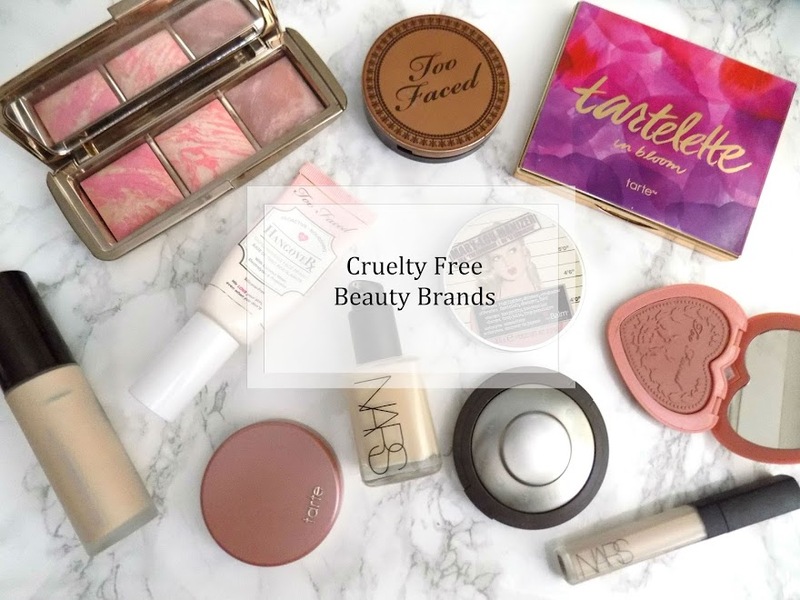 Both have good packaging, L'Oreal are known for their gold packaging which can sometimes look very old fashioned, but these actually look pretty sleek. 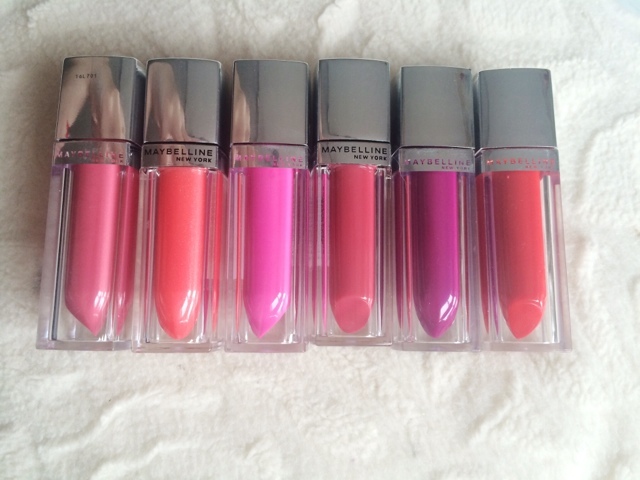 Maybelline have gone for a simpler approach but still kept it looking nice and sleek. 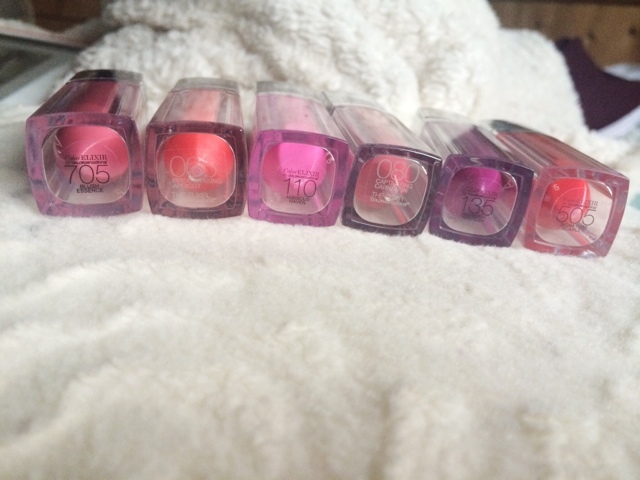 Plus, I like how they have made the product look like a lipstick bullet surrounded by the clear plastic outer packaging. 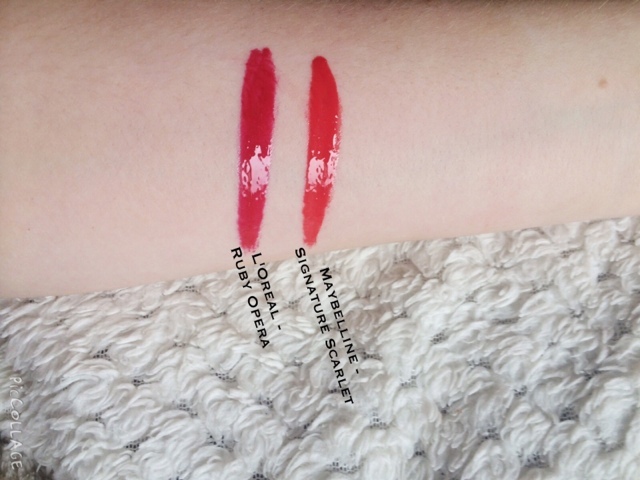 Both show the shades really well and it's so helpful, especially if you have a lot of lipsticks. 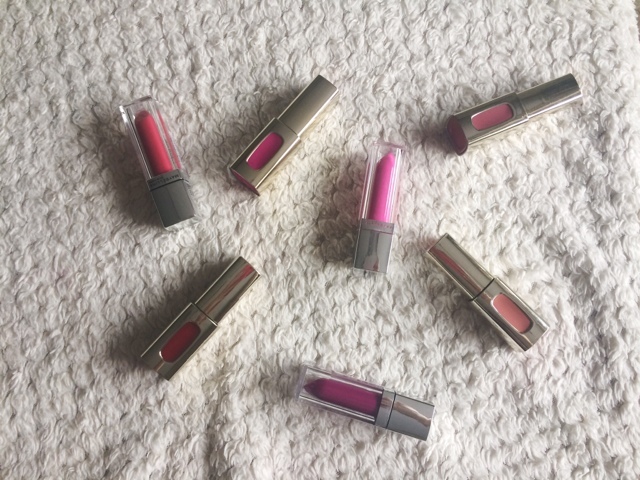 There is one main difference though in that the L'Oreal liquid lipsticks are made by combining micro oils and colour pigments to create this fabulous blend of all things bright and bold. 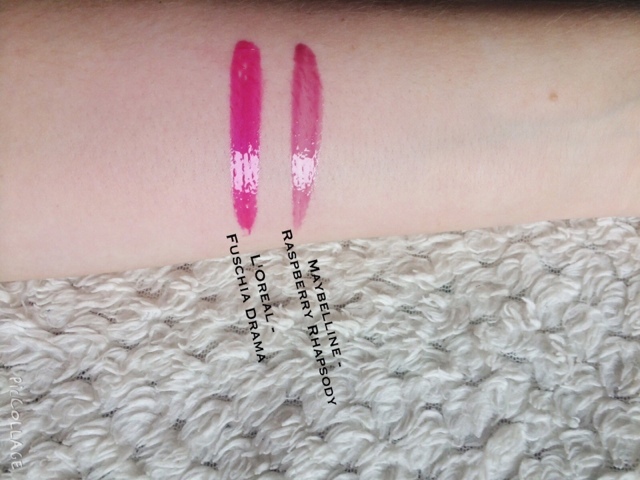 But both are said to give the pigment of a lipstick, shine of a gloss and softness of a balm? 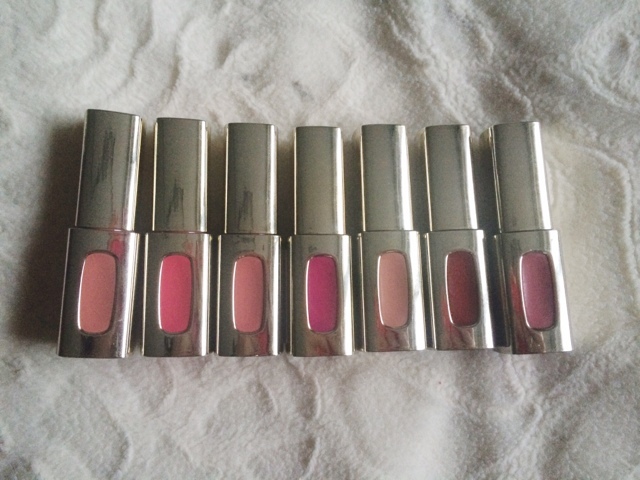 Considering all that, they each last pretty well on the lips and don't highlight any imperfections like chapped lips, even with the bolder shades. They also have a fabulous applicator which is perfect for precision, as well as just one quick swipe and they go on so even and smooth there's no mirror needed. You don't need to worry about either formulas being sticky either, because they're far from it, they're creamy and nourishing and just amaze balls. 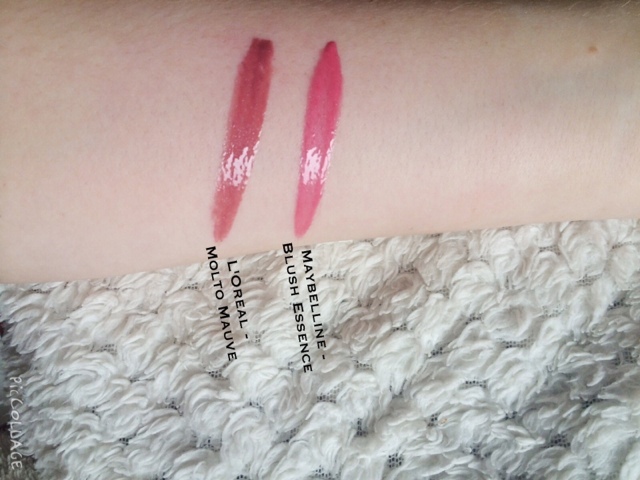 Both Maybelline and L'Oreal have done an outstanding job with these. What more could you want? I really like both of these products, it's going to be tough deciding which one is my absolute fave. There are 20 shades to this collection and although I only have 6 now, I'm excited to get my hands on even more of them. However some Boots/Superdrug stores have more than others, the smaller branches have a pretty poor offering to be honest. Hence why I love online shopping. 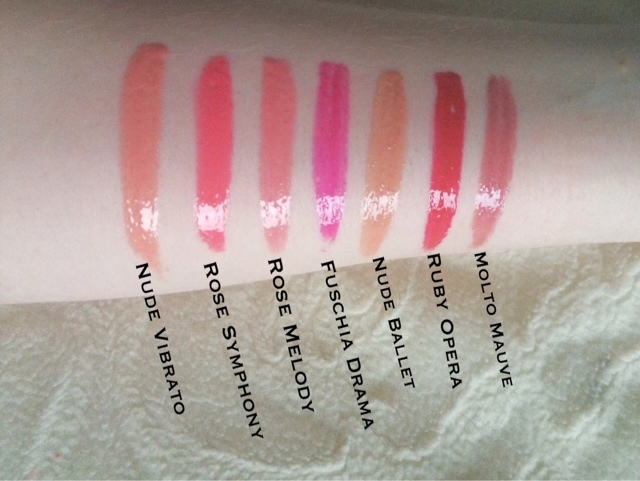 There's slightly less shades in this collection with there only being 9 available but they still have something for everyone. 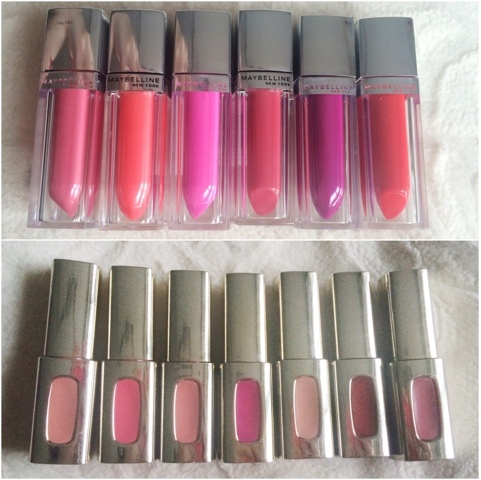 I think I'm going to have to go for the Maybelline Color Sensational Elixirs as my faves for this Face Off. 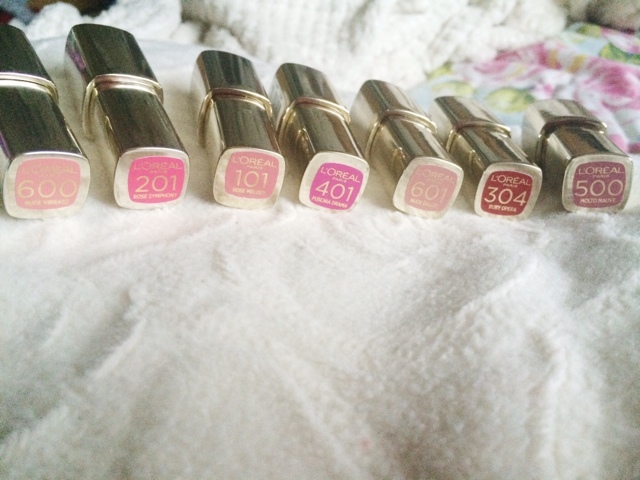 I find them so easy to wear and I gravitate towards these more than the L'Oreal offering. But they are both amazing products. Have you tried either of these? Which is your fave?